The last time I did a facial kit's review, I spoke about how it is absolutely impossible to keep your skin from accumulating dirt and grime and how it is so important for us to get rid of all of these accumulated dirt and try and keep our skin squeaky clean. Not just this, who doesn't want a flawless skin after all, right? Today, I will be talking about another Facial Kit called Astaberry 24 Carat Gold Kit by Astaberry Biosciences. 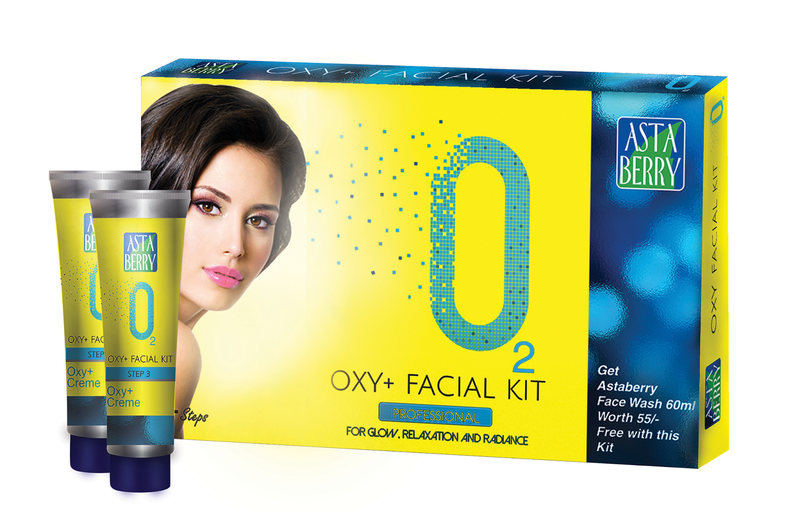 Astaberry has brought a quick solution for flawless skin with Gold enriched Facial Kit. The year 2016 is ending and it was harsh and nasty throughout. But, I decided to end it by pampering myself with a nice Gold Facial. And here's my review after the experience. Enriched with Gold as an active ingredient, this facial formula hydrates, firms and moisturizes the skin to reduce fine lines and wrinkles resulting in smooth and healthy skin. Moreover, other herbal extracts of Almond Oil, Olive Oil, Rice Powder, Aloe Vera and Rose deeply refines epidermis of the skin and ensures pretty and glowing skin. The pack consists of Gold Cleansing Gel, Scrub, Crème and Mask which have absolutely beneficial ingredients that have been clearly mentioned at the back of the cardboard box consisting it. Astaberry 24 Carat Gold Kit comes in a thin box packaging. Inside the box, there are 4 tiny tubes that contain the cleansing gel, scrub, creme and mask as already mentioned above. Bonus Point: There is an Astaberry AHA DeTan Sun Tan Removal Mask inside which comes as a freebie with the facial kit and hence is a bonus. All the four products (cleansing gel, scrub, creme and mask) have an amazing fragrance which seem very pleasant. Normally, the process cycle is: Gold Scrub, Gold Cleansing Gel, followed by the Gold Creme and finally the Gold Mask. That's the order of use for a facial. 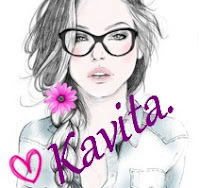 I do not like to experiment much with Facial products because my skin is sensitive and I always end up getting a couple of pimples if the facial does not suit me. However, the wonderful results of the last facial I got from Astaberry forced me to give this one a try on myself. And, once again, the product did not disappoint me. I am quite happy with the result. Post application, this Kit manages to give you extremely glowy skin. And as promised by the product, it did hydrate and moisturize my skin. I had some fine lines on my forehead and right next to my nose running to my lips, and the product did manage to get rid of those lines as well. 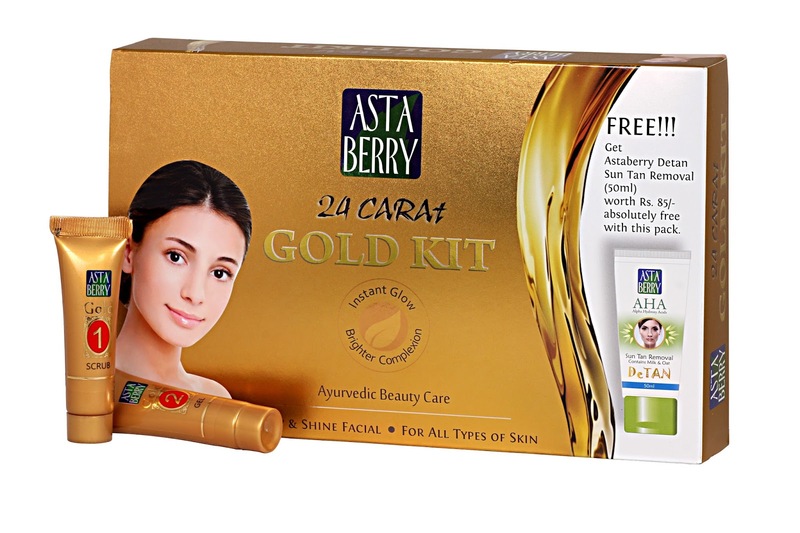 Astaberry 24 Carat Gold Kit also gives you an instant brightness and glow. However, I have to wait for some time to see how long this lasts. The content of the Kit can be used about 3-4 times and is ideal for any kind of occasions. Also, the entire kit is absolutely inexpensive and easy to use and is suitable for all skin types. Astaberry 24 Carat Gold Kit is available at all major cosmetic outlets and major online stores like Flipkart and Amazon. 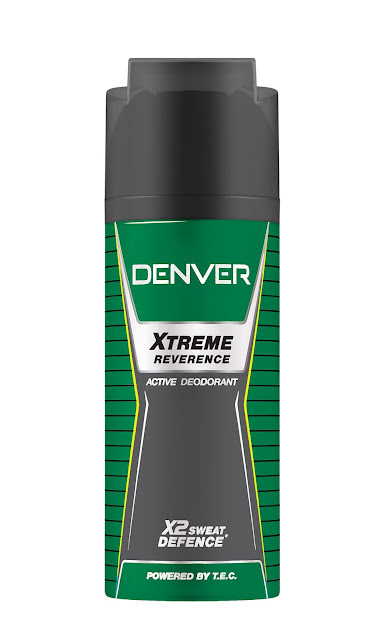 Rating: I would rate this product 4.5 out of 5 because the product is definitely good. I love how my skin feels now. Also, I used the free Astaberry AHA DeTan Sun Tan Removal Mask separately and let me tell you, it is very good. It instantly brightens your skin and makes it feel super soft too. Note: Astaberry Biosciences was kind enough to send me 1 free Pack of the Astaberry 24 Carat Gold Kit. However, I review a product only after using it and all my reviews are 100% genuine and based on my experience using them.